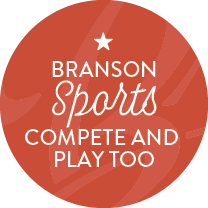 Branson, Missouri, is the perfect location for your next sporting event! Nestled in the beautiful Ozark Mountains, Branson is America’s affordable, wholesome family entertainment capital. And with several diverse lakes, trails, courts, ballfields and more, we're built for sports and outdoors activities.